KAKKOii means cool in Japanese and that’s what these speakers really are. 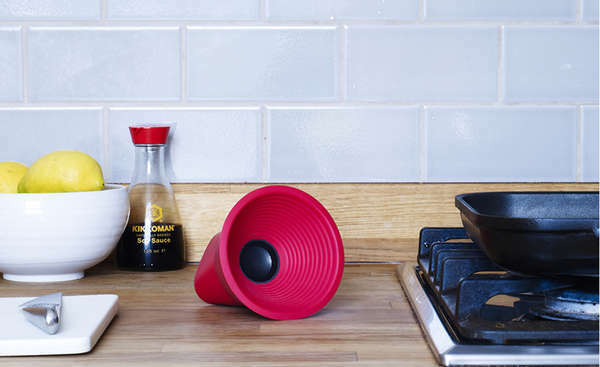 Designed by Antonio Arevalo, a London based designer, WOW wireless speaker was his first product. A solo wireless speaker that uses Bluetooth connectivity which makes it simple to use, portable with original design, combining an exceptionally unique design with functionality. They come in 6 different vibrant colours. I personally want them all! A great gift for music fans who seek a portable and beautifully designed wireless speaker. Could this be your next portable speaker?